Everyone enjoys a good old western. Gold rush inspired flicks by the thousands, with saloons full of fortune seekers shooting each other. 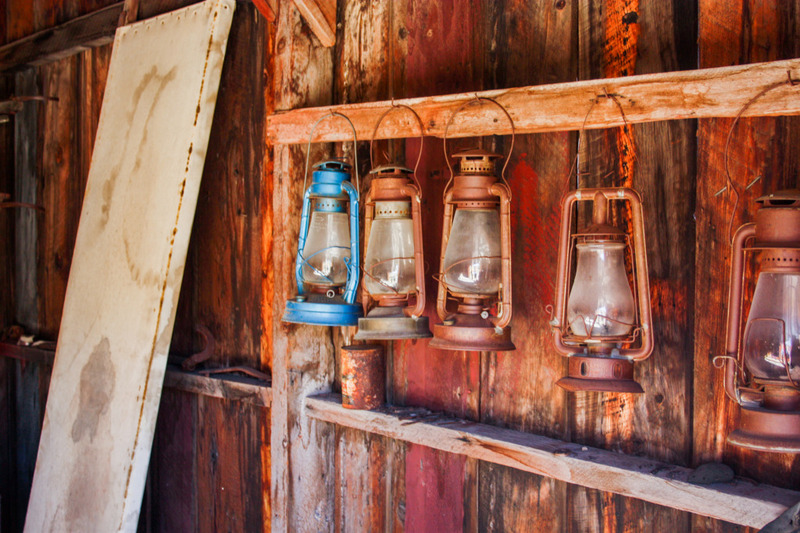 Well, those days are long gone and today all that’s left is a handful of ghost towns trying to preserve this kind of history and heritage, namely in California. 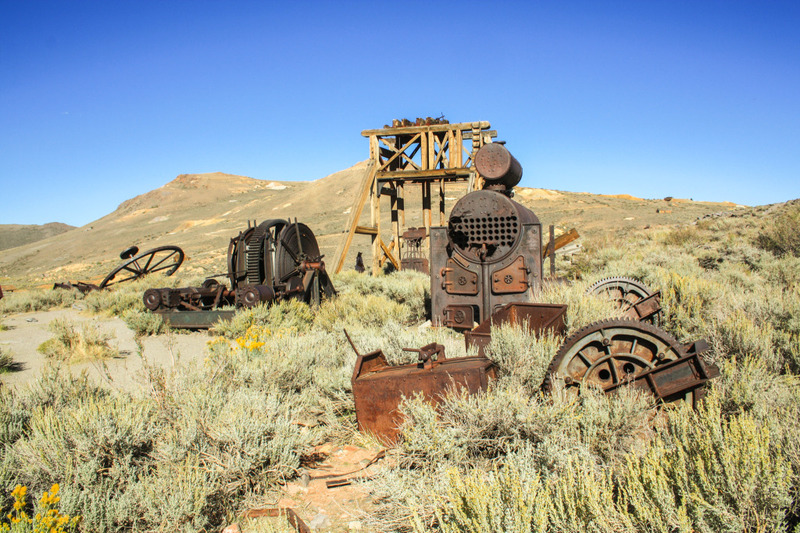 Two summers ago we visited one of the most interesting gold-mining ghost towns – Bodie. 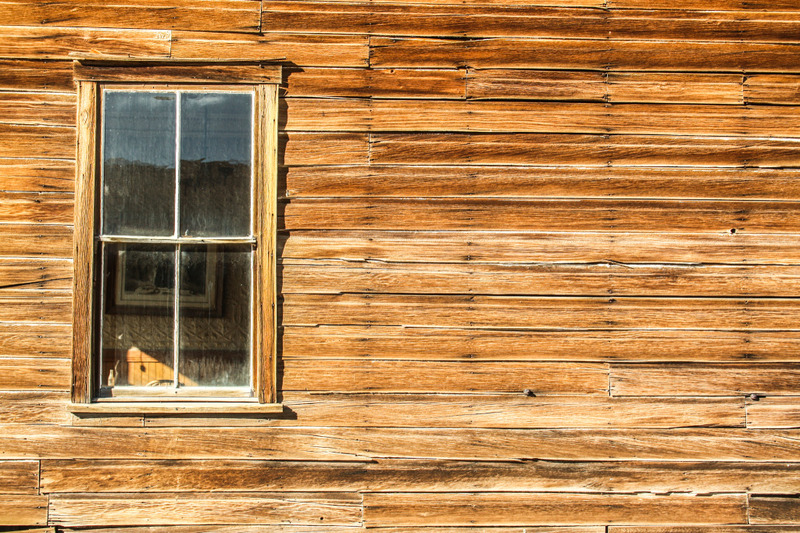 Bodie ghost town lies in Bodie Hills, east of Sierra Nevada and north of Mono Lake. 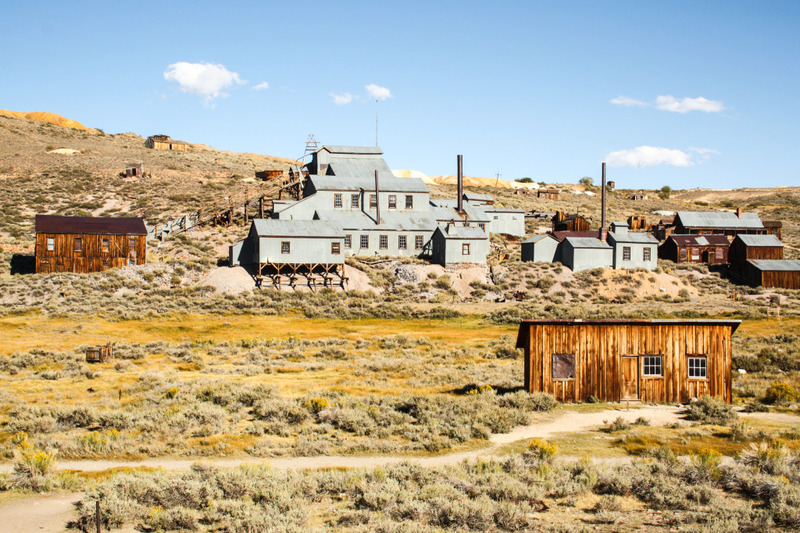 Back when mining was booming, Bodie had more than 2000 buildings and a population of nearly 10 thousand. 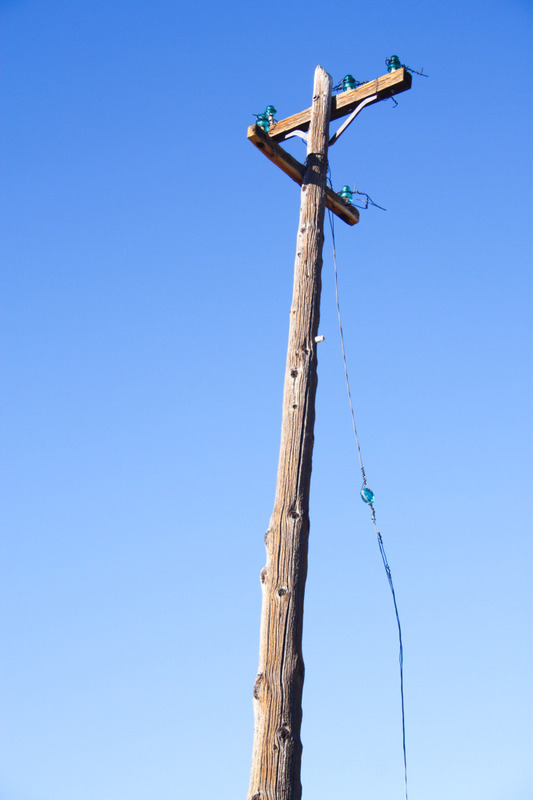 The lifespan of the town was between mid 19 to mid 20 century when the last inhabitants ultimately left. 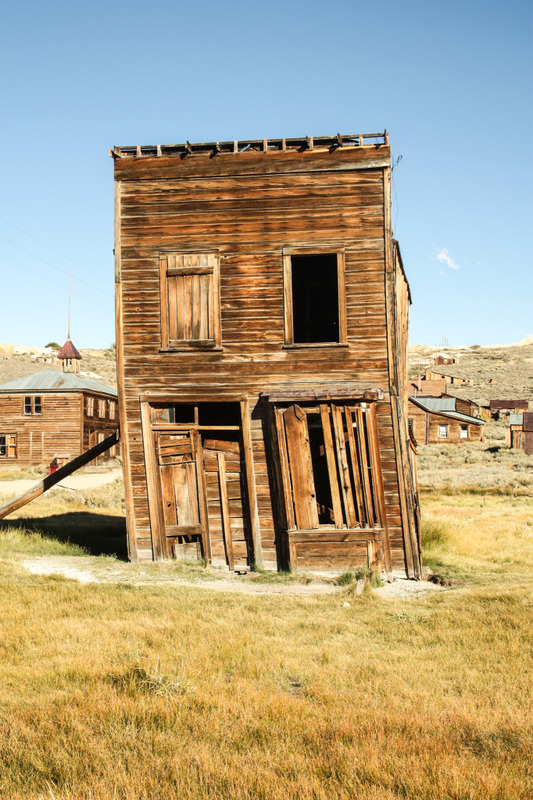 Once a vibrating town, probably just like in the movies, today it only has as few as 100 still standing surviving buildings, that are preserved in a state of arrested decay. 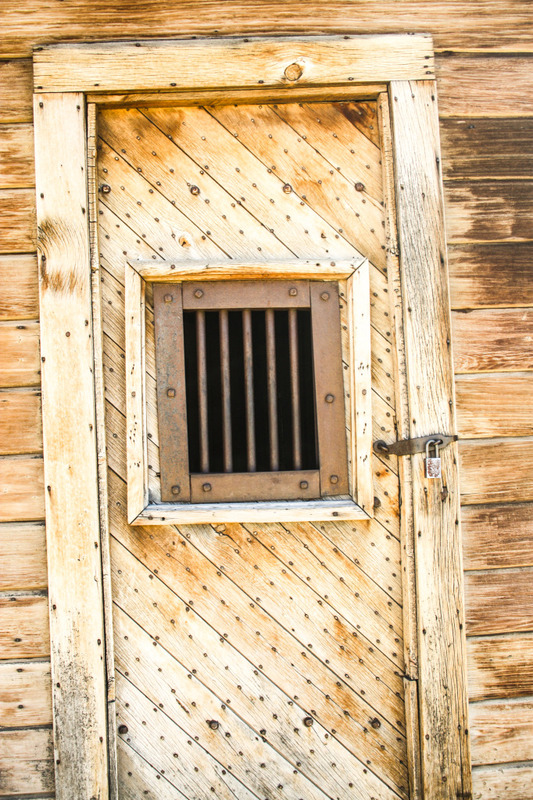 Bodie is a California State Park officially called Bodie State Historic Park and is managed by the Bodie Foundation. As a visitor, we walked the deserted streets, going from building to building trying to imagine what it was like back in the day. 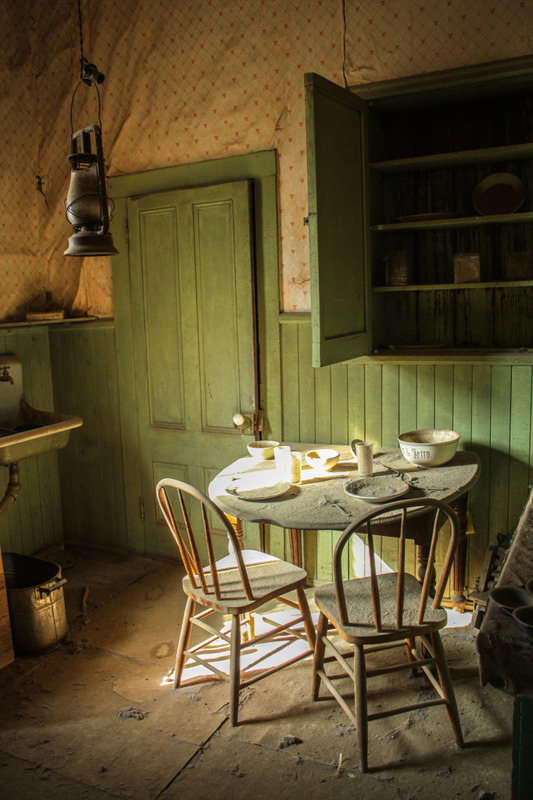 In some of the buildings, the interiors remain as they were left, even with some goods on display. Follow us in this journey through the past. 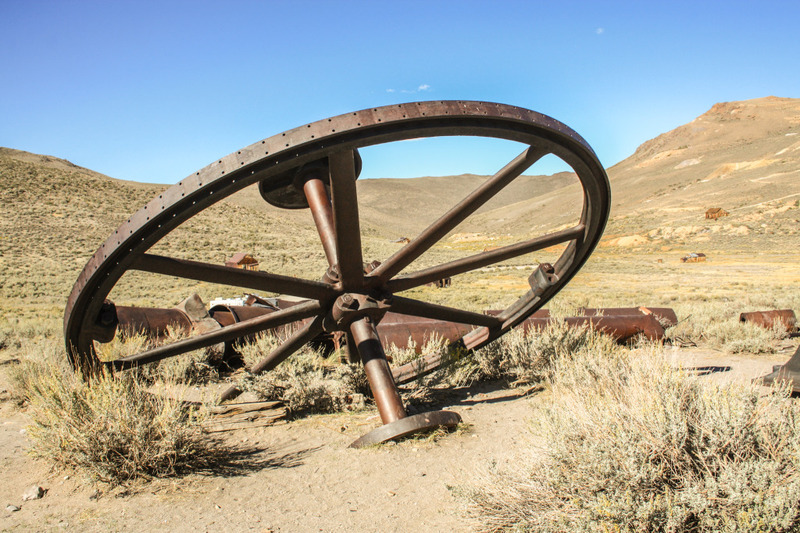 Bodie was the first proper ghost town we ever visited. Proper in the way things are well-preserved, and it still contains many different types of buildings and artifacts, not just a couple of old derelict buildings. 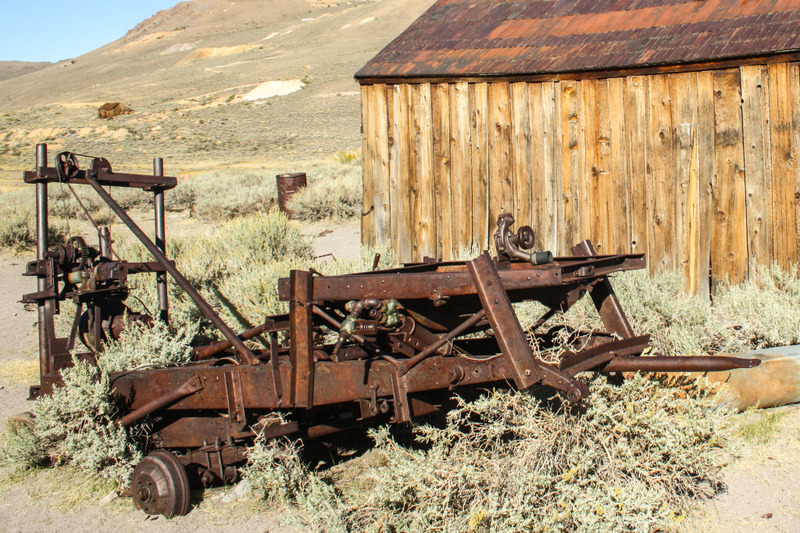 To be honest, we first heard of Bodie through a colleague who visited this particular part of California before and had suggested for us to stop by. 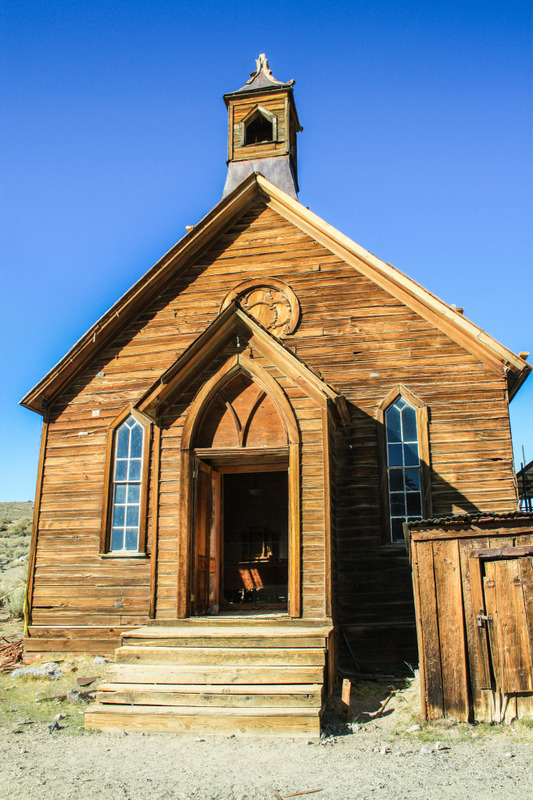 We followed the suggestion and added Bodie ghost town to our list of things to do while visiting the nearby area of Mono Lake. Getting there was the fun part. 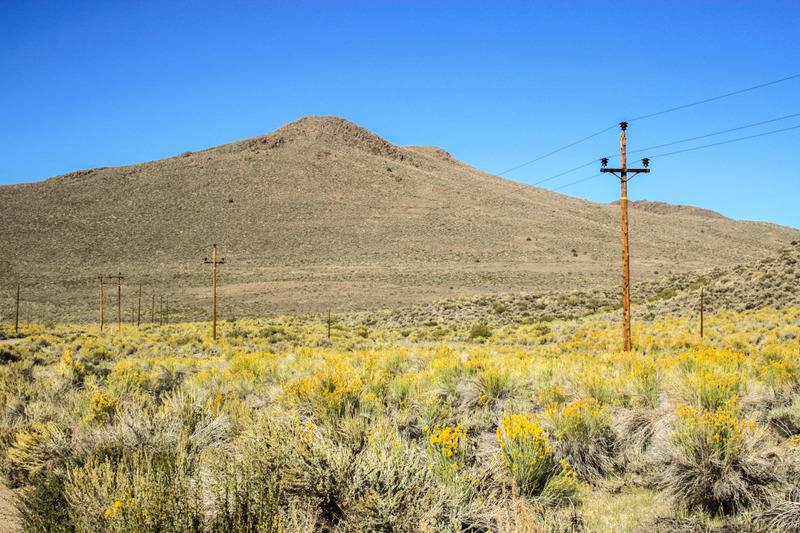 We decided to take SR 167, from the south near Mono Lake. It’s a rough 10-mile dirt road through a canyon and up the hill. Thankfully, our SUV was strong enough to tackle this. Not recommended for low clearance or small vehicles. 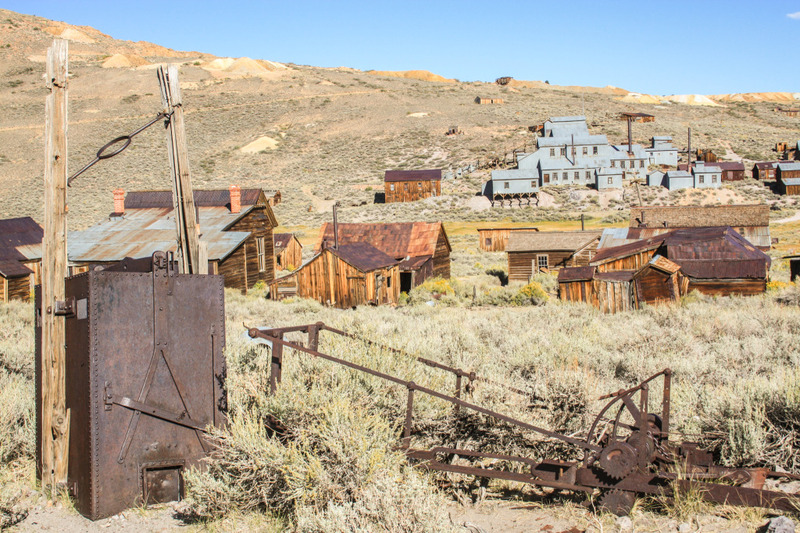 By driving into Bodie, it was clear to us why it became a ghost town. It’s really far from everything, a barren land at an altitude of around 2500 m and very exposed to the elements. Apparently it can get really rough in winter time, with snow and wind. 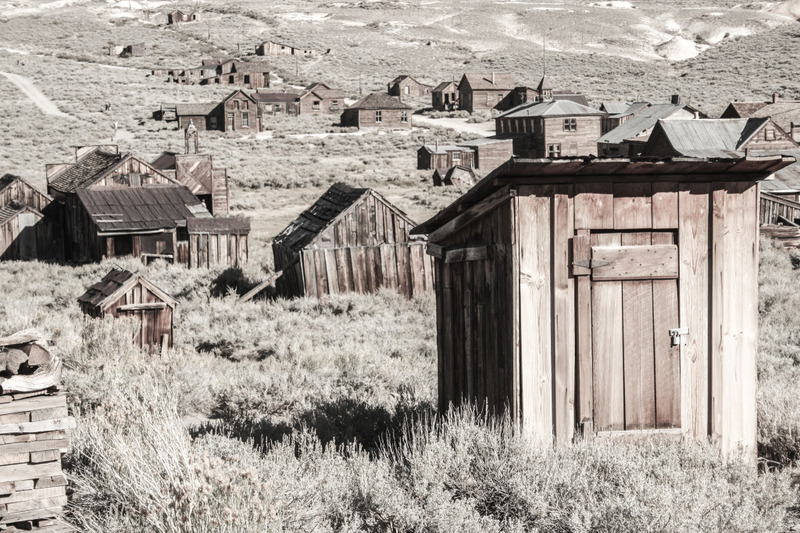 It must have been rough to live here and that’s why when mining gold was no longer profitable, everyone slowly left. Well, not all is bad. We’re not miners and we didn’t intend to stay. 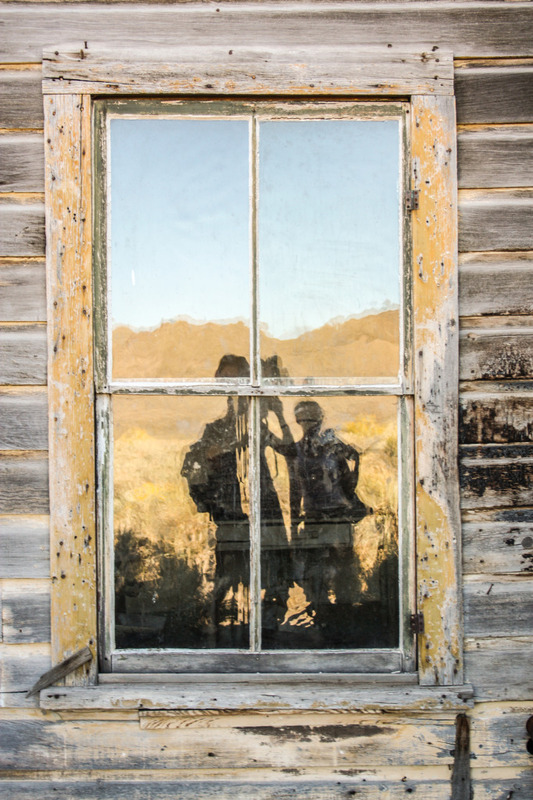 For us, it was a warm and sunny day in Bodie, with the rays of late afternoon light hitting the decaying buildings. A significative number of the buildings is closed, but not all. The ones that are open, for example, the Methodist Church, allow to explore a bit more in detail all sorts of things from the past. 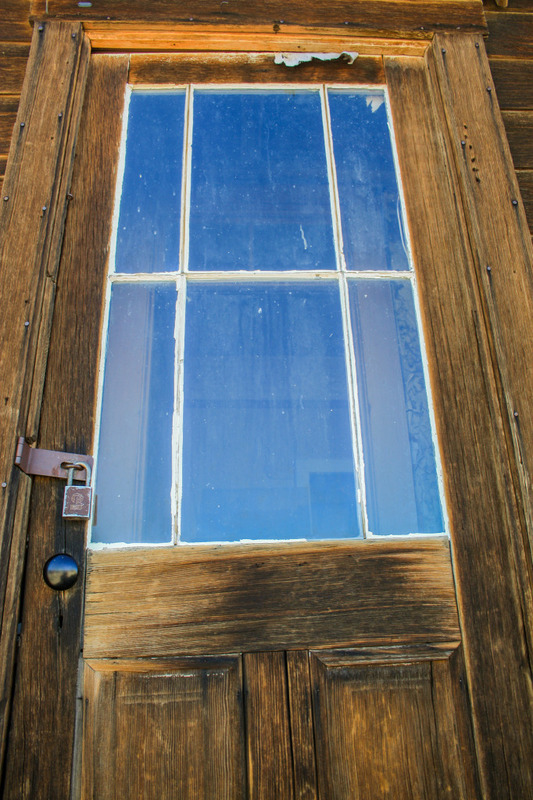 Even the closed ones allow to take a better look through the windows, and we certainly took the opportunity to peek through. Everything is protected, so nothing should be taken away! There’s also a museum and visitor center with more information. We had a brochure with a map to help us navigate around and decipher what buildings we were looking at! By the time we left, night was setting in. On our way out we took the “normal” road, SR270 that connects to US 395 to the west and only has a short stretch of unpaved road, close to the entrance of the park. One of the things we really like about the USA is the conservation work being done in National and State Parks. 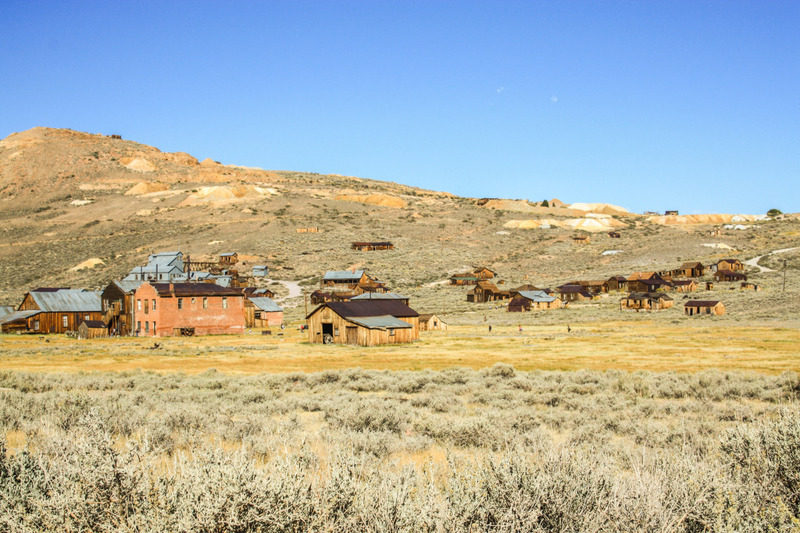 Although we can’t directly compare Bodie ghost town to other Parks due to its specific nature, it’s always worth acknowledging this kind of conservation effort. Thumbs up for that. We paid 5$ admission each + 2$ map. Note that only cash is accepted. 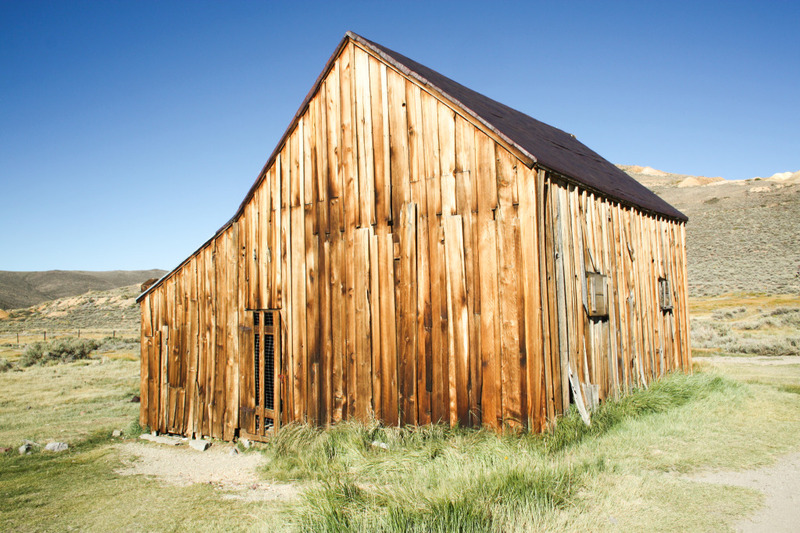 The only possible way to explore Bodie is by walking. So, just park and enjoy. Also, there are no facilities other than restrooms. 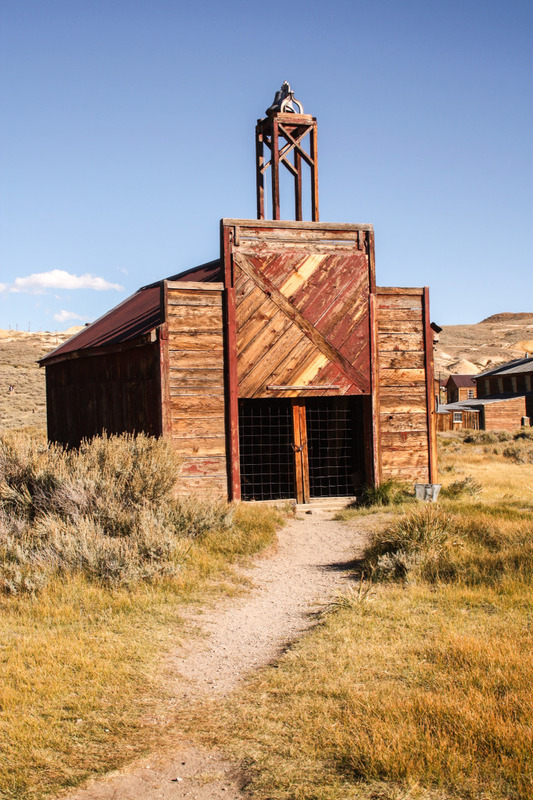 Allow at least two hours to explore Bodie. If you’re into photography there are plenty of opportunities to shoot, bring all the gear. 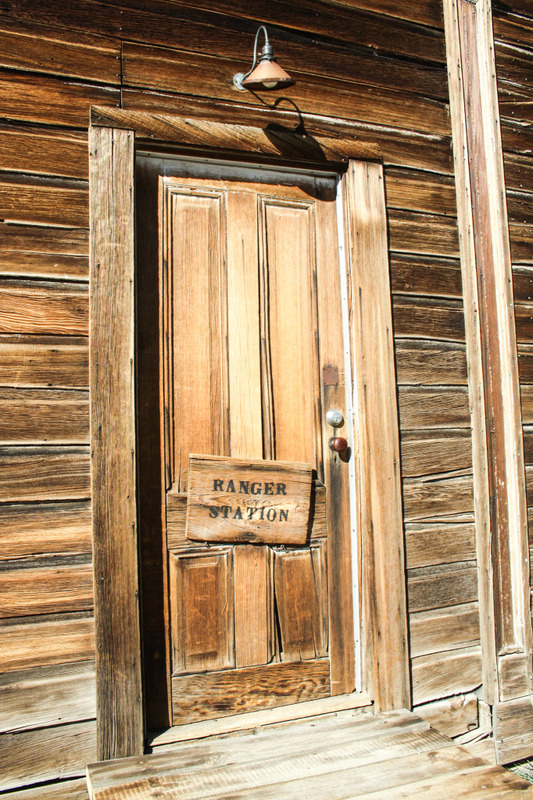 If you’re willing to learn more and not explore entirely on you own, California State Rangers provide both information and guided tours. 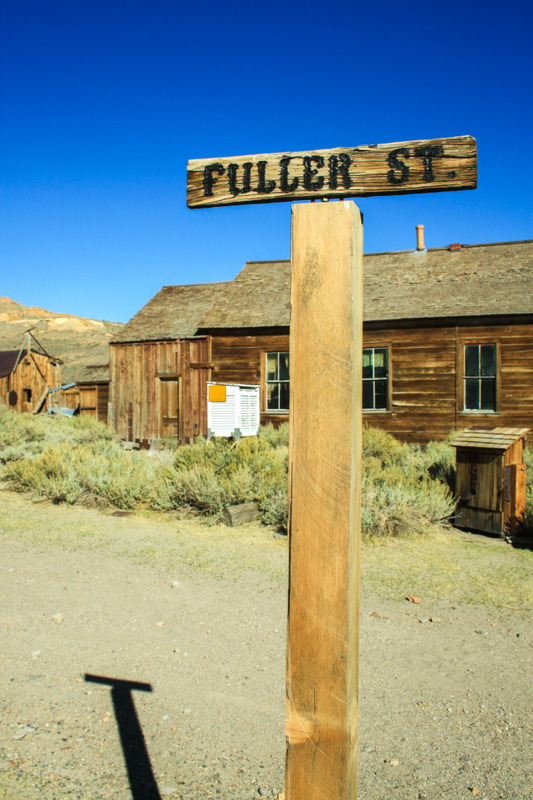 Visit the official California State Park page for Bodie ghost town here. 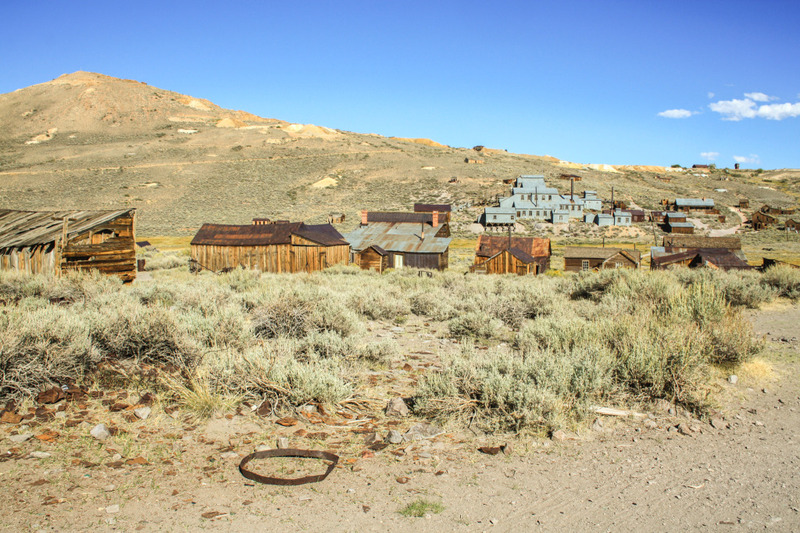 Have you been to Bodie ghost town? Questions? Let us know what you think! Read more about California and the USA. Thanks Henrique! It’s a great place to walk around and think about the past. Plus, it allows for some great photographic opportunities as well. 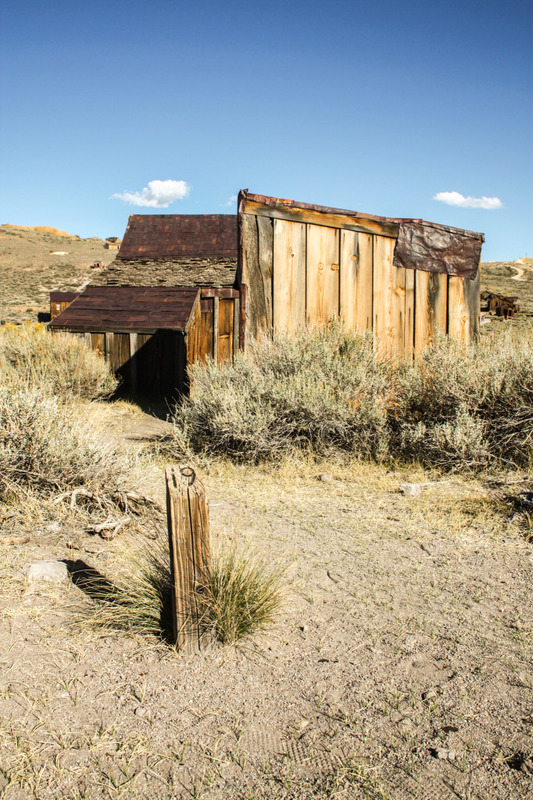 I spent many summers as a kid camping in the area and exploring the streets of Bodie…now I get to share it with my kids! 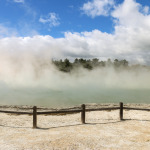 Thanks for writing such a great article about a place that is so dear to my heart. 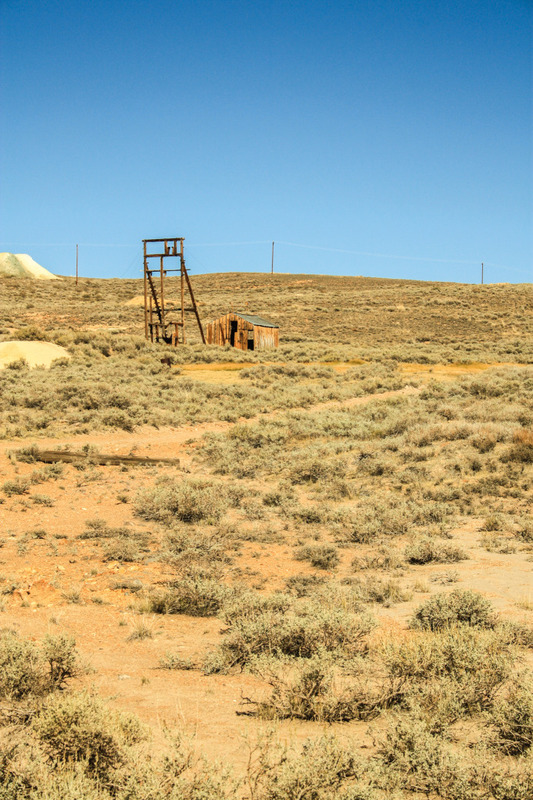 I am so glad Bodie is a place people from all over the world enjoy! Lovely words Michelle. We definitely enjoyed it! So do we! Hopefully if we find ourselves in that part of California one more time we’ll visit again. Bodie just got added to my list. What a great find, thanks for sharing… really enjoyed the article. Thank you Paula. Glad we’re able to share the word about some great places! 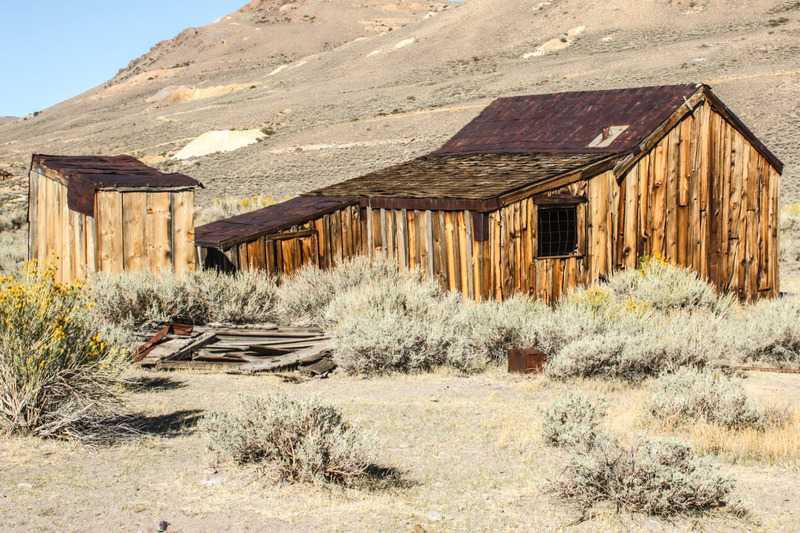 Looking forward to visiting Bodie next year. Loved looking at your photographs! Thank you, Helena! It’s a very interesting place to photograph and explore!